William Mayor, London, died 1874 (Lugt 2799). Baron Adalbert von Lanna [1836-1909], Prague. J.P. Heseltine, London, [d. 1929] (Lugt 1507). Paul Hermann von Schwabach [1867-1938], Berlin. Captain Norman Robert Colville [1893-1974]. Dr. and Mrs. Francis Springwell, Keswick, England. (their sale, Sotheby's London, 28 June 1962, no. 10); Hans Calmann [1899-1982], Somerset. John Goelet; (sale, Sotheby's New York, 17 November 1986, no. 6); Peter Jay Sharp; (Artemis, New York); Private collector. 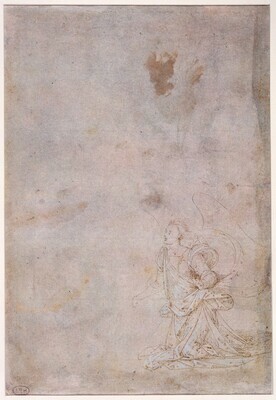 Drawings by Old Masters, Royal Academy, London, 1953, no. 24. 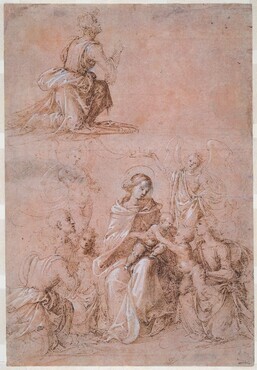 Drawings by Old Masters from the Collection of Dr. and Mrs. Francis Springell, P, and D. Colnaghi and The Hatton Gallery, London and Newcastle upon Tyne, 1959, no. 17. European Master Drawings from the Collection of Peter Jay Sharp. National Academy of Design, New York, 1994, no. 20.